Technique is important to all musician and a solid command of the technical and mechanical demands of the saxophone is key for aspiring players. From the shape of the embouchure (placing “our mouths on the mouthpiece thoughtfully”), to the movement of our tongue on the reed, to the way we practice our scales (you know, those things we always hated to do when we learned piano), these and other saxophone techniques serve as the starting points for the discussions and explanations in Saxophone Technique. Author Sarah Anne Wolkowski offers practical advice within an inventive presentation. 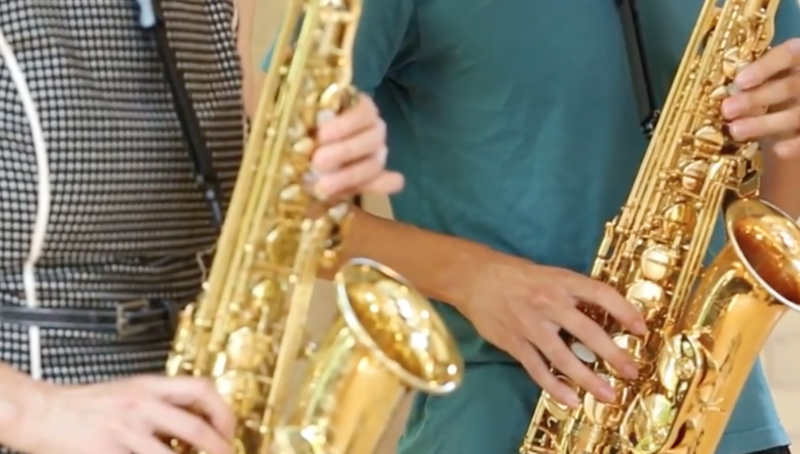 She uses stories and metaphors along with fun hypothetical conversations between student and teacher to show how these techniques truly are the foundation upon which a great saxophone player is made. While the author is very humble about her training and accomplishments, know that the advice offered in Saxophone Technique comes from her years of study and years of teaching. Wolkowski holds a Bachelor of Music in Saxophone Performance with High Distinction from McGill University as well as a Master of Music in Applied Music from the University of Alberta. She has taught at Grant MacEwan University’s Alberta College Conservatory and Mohawk College as well as in her own studio, Saxophone By the Lake in Oakville, Ontario. Saxophone Technique is not a method book. That is, it is not going to be a book for an absolute beginner to pick up and learn how to play the saxophone on their own (there is no substitute for studying with a qualified teacher). There are no exercises written in music notation for the beginner to practice, nor are there any pieces to play. Saxophone Technique is, however, an excellent resource on the many aspects of saxophone playing. 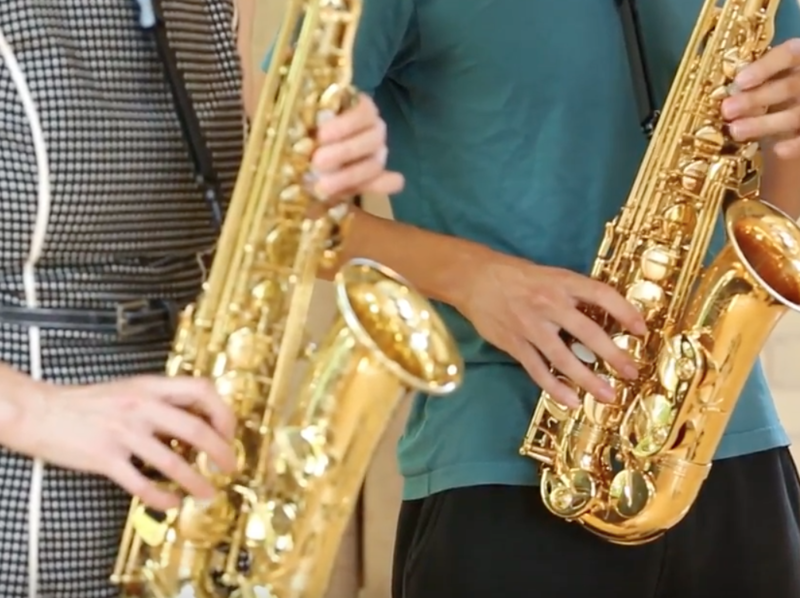 From forming the correct embouchure to proper tonguing, breathing, and fingerings, Saxophone Technique is an outstanding way for a beginner or intermediate student to deepen their knowledge of the instrument and refine their ability to play it. Wolkowski’s tone through the book is playful and fun, designed to reflect a positive approach to playing and practicing. While there aren’t any exercises written in musical notation, Wolkowski does give the reader several exercises to play through, clearly explaining them and allowing the reader to improve his or her technique in a wide variety of areas of saxophone playing. Reading through the book, one can be amazed that playing the saxophone well has so many different elements to it. Considering posture and holding the instrument properly to breathing properly to proper fingerings (and avoiding “Crimes Against Design”), Wolkowski manages to provide intelligent discussions as to why to do things as well as how to do them. Overall, Saxophone Technique is best read with a saxophone nearby. If you played when you were younger, if you are currently learning or have always wanted to learn, Sarah Anne Wolkowski’s Saxophone Technique belongs on your shelf, or even better, next to your music stand. 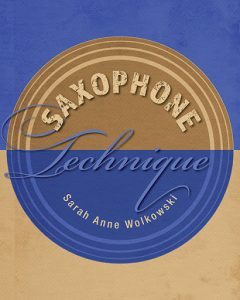 Whether you read it in one go, or work on the exercises in each of the chapters day by day in order to improve your playing as a whole, gaining a better understanding of the instrument and its capabilities as you practice, you will always learn something from Sarah Anne Wolkowski’s Saxophone Technique.